Discover all of the benefits of investing in a life insurance policy. No one wants to think about it, but you need to protect your family financially in the case of your passing. Whether if it is through your employer or an individual plan, enrolling in a life insurance plan that meets all your needs is extremely simple. The insurance brokers at Malden Solutions will walk you through the steps carefully to apply for a plan. Discover a few of the benefits of investing in a life insurance plan. When choosing a life insurance policy, you might need one that is flexible depending on the specific stage you are in life. Universal life insurance allows you to adjust your premiums and death benefits whenever you want. 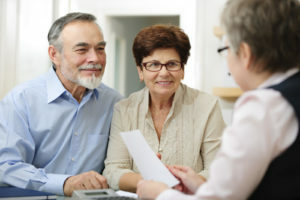 So, as you age, you may want to increases your premiums and benefits so that your family is protected well. One of the best aspects of universal life insurance is that your policy can accumulate cash value. One of the advantages of choosing life insurance from Malden Solutions is that you will receive lifelong coverage. So, you will always be financially protected in case the worst occurs. If you choose whole life insurance, you will have fixed premium for the rest of your life. Your family will receive a death benefit in the event of your passing, and that cash value will grow at a guaranteed rate. This entry was posted on Monday, March 5th, 2018 at 2:10 pm. Both comments and pings are currently closed.